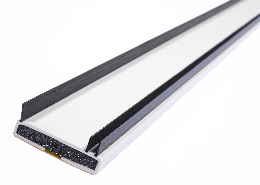 Pyroplex® Flipper range provides fire, smoke and acoustic seals for timber door edges and frames. The flippers are thermally fused to the box section to ensure that under normal conditions of use they will not delaminate. This new technology ensures improved performance and also appearance of the seal. The Integral Flipper range adds added security with an integral flipper that will remain uninterrupted when used with ironmongery. 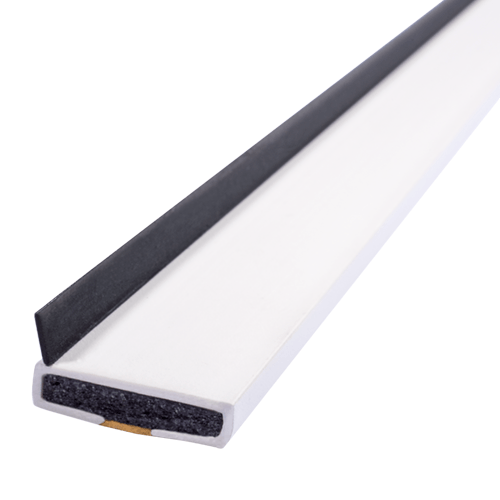 Pyroplex® Flipper range provides fire, smoke and acoustic seals, which are supplied in 2.1m lengths as standard and are quick and easy to fit with no special tools required. Improved aesthetics – the profile is more streamline. 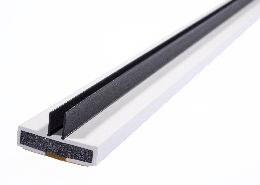 Increased tamper resistance – previously it has been easy to tear the flippers from the profile, a particular problem in educational establishments. Durability – flipper will not remove from seal. 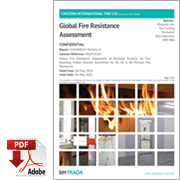 Performance in accordance with Certifire Technical Schedules as outlined in CF822. 1. Select the appropriate seal using the door test evidence, which will identify the size of intumescent seal required. 2. Route a groove suitable for the size of intumescent seal. 3. The intumescent seal can be interrupted to allow for ironmongery, whilst still maintaining an integral flipper. 4. Remove the release liner from the product and push fit into the routed groove. 5. To achieve excellent adhesion, seals must be applied to clean, dry surfaces at temperatures between +5°C and +40°C. Seals are often partially interrupted by essential ironmongery such as hinges. Pyroplex® Side Flipper maintains an integral smoke and acoustic seal when interrupted, due to the positioning of the flippers. 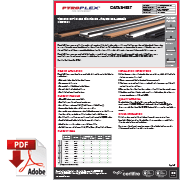 Pyroplex® Flipper range provides fire, smoke and acoustic seals, which have been tested to BS 476: Part 20:22, BS EN 1634-3: 2004 and BS EN ISO 10140-2: 2010. The Flipper range is compliant with the requirements given in Certifire TS35 and TS21. 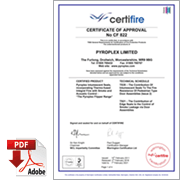 Certifire Certificate No. CF822.